Station Hollywood: Rafisahab made huge contribution in the successful career of Jeetenderji. Rafisahab made huge contribution in the successful career of Jeetenderji. Rafisahab’s brilliant combination with Jeetender in the 1960s. The viewers of Bollywood fims wish happy birthday to dancing star Jeetender on 7th April, 2015. Jeetender started his career in the early 1960s with the patronage of eminent director V. Shantaram. He was launched as hero opposite Rajashri in the film Geet Gaya Pattharone in 1964. At that time Jeetender had to face the competition from the rulers of bollywood films like Dilip Kumar, Raj Kapoor, Rajender Kumar and others. Probably Jeetender spend his toughest time of the career to cement his place between 1964 to 1970, when viewers starting recognizing Jeetender and appreciating his acting and dancing skills. The singer played a huge role in the success story of Jeetender was Mohammad Rafi. Rafi’s everlasting songs for Jeetender created a hall mark for super hit music which was one of main reasons for box-office success of the films. In the film Geet Gaya Pattharon Ne, Ramlal Choudhury composed the music. Mahendra Kapoor sang the hit song “ayiye padhariye” for Jeetender. In Jeetender ‘s film Gunahon Ka Devta, released in 1967, Shankar Jaikishan used Rafi in hit songs. Rafi’s song “humko to barbaad kiya hai” became bumper hit. Rafi and Manna Dey’s song “ayi hai bari door se mehmil me” is worth mentioning. Rafi Jeetender combination rocked bollywood with the film Farz in 1967. Laxmikant Pyarellal composed loud music for Rafi in songs like “mast baharon ka mai aashiq”, “baar baar din yeh aye” and “tujhse aye haseena”. Jeetender showed his dancing skills and viewers started calling him jumping juck. At the same time viewers enjoyed the western andaz of Mohammad Rafi in the peppy numbers. In Boond Jo Ban Gayi Mooti, released in 1967, Satish Bhatia composed music of the film. Mukesh’s song “yeh kaun chitrakaar hai” for Jeetender became big hit. In 1968, again Shankar Jaikishan and Rafi combination struck gold for Jeetender in the film Mere Huzur. Rafi’s song “rukh se zara naqab uthayo mere huzoor” had ghazal andaz. Raj Kumar also played important role in the film. Manna Dey sang excellent classical song “jhanak jhanak tori baje payelia”. Rafi was majestic in the songs “wo khushi mili hai mujhko”, “kya kya na sahe humne sitam aap ki khatir”, “gum uthane ke liye mai to jiye jayunga”. Hasrat Jaipuri wrote excellent lyrics for the film. In 1968 Jeetender acted in the film Suhaag Raat. Kalyanji Anandji composed the music of the film. Mukesh’s song “khush Raho” became hit. The Rafi Jeetender combination was back in 1968 with the film Aulad. Chitragupt composed music in the film. Rafi’s song “abke bahar ayi hai” had brilliant melody. The rendition of the song was splendid. Rafi and Lata’s duet song “armaan tha humein jinka” became bumper hit. Rafi and Lata’s duet song “nazuk nazuk badan mora” had folk effect. RD Burman composed music for Jeetender’s film Waris in 1969. All the songs were sung by Mohammad Rafi. All the songs became smash hits including “ek bechara pyar ka maara”, “lehrake aye hai jhoka bahaarka”, “kabhi kabhi aisa bhi hota hai”, etc. The LP Rafi and Jeetender combination dominated the chartbusters in 1969 in the films Jigri Dost, Do Bhai and Jeene Ki Raah. Jigri Dost’s songs of Rafi were super hit including “dil me kya hai”, “mere desh me pavan chale”, “raat suhaani jag rahi hai”, etc. Jeene Ki Raah’s songs were equally hit including “aa mere humjoli aa”, “aane se uske aye bahaar”, “ek banjaara gaye”, “chanda ko dhoonde sare tare nikal pare”. The magic continued in the film Do Bhai. Rafi was sublime in the songs “is duniya me aye duniyawalon”, “o geet nahin ban sakte”, “samne aaj dono jahan kea aa”, “jeena hai tere banker”. Rafi sang around 369 songs for Laxmikant Pyarellal in between 1963 to 1980. In that list at least 100 songs were picturized on Jeetender. LP used Rafi for Jeetender for the title song “dharti kahe pukarke” in the film Dharti Kahe Pukaarke in 1969. LP Rafi Jeetender combination stormed bollywood in the film Humjoli in 1970. All the songs of Rafi became bumper hit including “tik tik tik mera dil dole”, “hai re hai neend nahi aye”, “chal shuru ho ja”. Shankar Jaikishan continued with Rafi in Jeetender’s film Ek Naari Ek Brahmchari. Rafi was sublime in the songs “chirag kis ke ghar ka hai”, “are tu hai buddhu brahmchari”. Rafi LP and Jeetender again created magic in the film Himmat in 1970. All the songs became super hit including “hai shukr ke tu hai ladka”, “o piyo piyo ka zamana aya”, “das gayi nagin”, “maan jayiye”. In the 1970s Jeetender became a leading star of bollywood and never looked back. 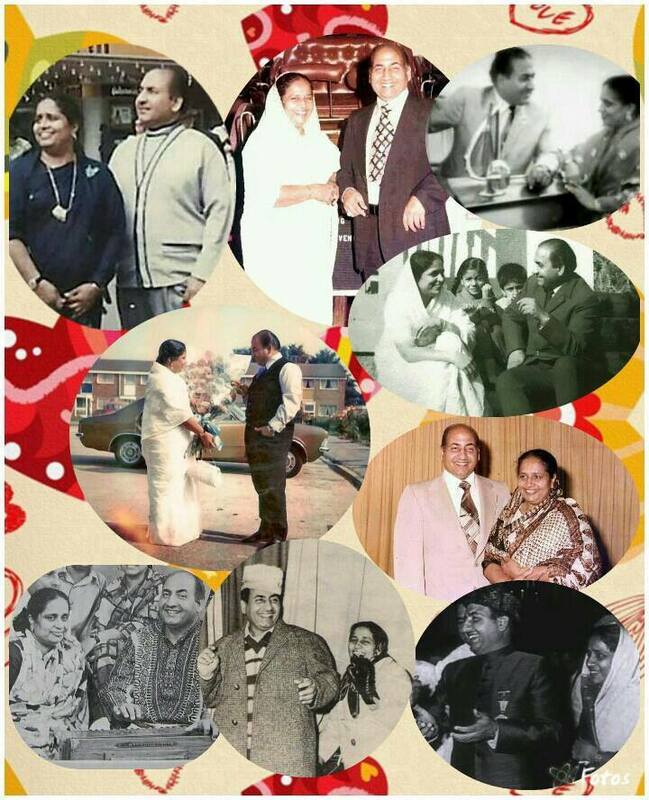 It is difficult to cover all the songs of Rafi for Jeetender because he had sung almost 100 songs for Jeetender. Viewers of bollywood films were entertained in other films of Jeetender including Banphool, Carwan, Badalte Rishtey, Aasha, etc. All the songs and the films should be preserved and restored.